In this guide, we’re going over ways to automate social media without using the personal, human touch that will drive engagement and build real relationships. Is it okay to automate social media? What’s the right balance of automation and scheduling with real-time engagement and humanness? It’s the only reason I found time to start a side hustle. And then once I created a course showing other people how I did it, automation WAS my side hustle. Because some people are deffffinitely #doingitwrong. And one of the biggest and easiest mistakes to make with automating social media? Overdoing it to the point that you remove all the social, human, and personal parts that make it great in the first place. To start, let’s look at where and why too much automation starts to go wrong. When people try to use automation for some of the most critical parts of social media marketing, the part that actually creates engagement and builds connections, that’s when things start to go awry. To me, this was what Instagress was an example of, what it represented in the world of social media and automation. It was a shortcut for people trying to fake and hack relationships. Which, by the way, you can’t do. A tale of a generic and so-clearly-automated comment like “This is amazing 😍” becoming super awkward or crazy inappropriate when generically stamped on the wrong photo. I’m pretty open in talking about my chronic illnesses on Instagram. “Journaling” my health journey there has just been one of the best ways to deal with the emotional and mental stuff it comes with. But there’s a LOT of vulnerability around sharing this kind of stuff. One time I had posted a picture from the hospital, with my arm covered in IVs, and a very serious story of how I was coping in the caption. I had been laying there feeling all these things and just needed to get them out with Internet people who would understand. Then? 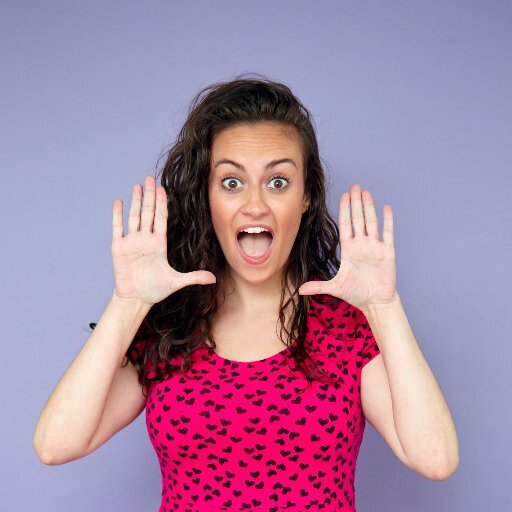 A blogger/business owner that I followed (and even admired a lot!) commented “So cute!” with a long string of sassy emojis. It was also straight-up hurtful to realize that this acquaintance, whom I thought was genuinely connecting with me when I saw their name in my notifications liking and now commenting on my stuff, was really just using my account and my content to game the Instagram system. Yeah…It’s safe to say I’m not a fan. Whenever another “bad app” gets shut down and these discussions ramp up, people also zoom out further than the specific app at hand. We usually start talking about whether or not you should be automating social media at all. 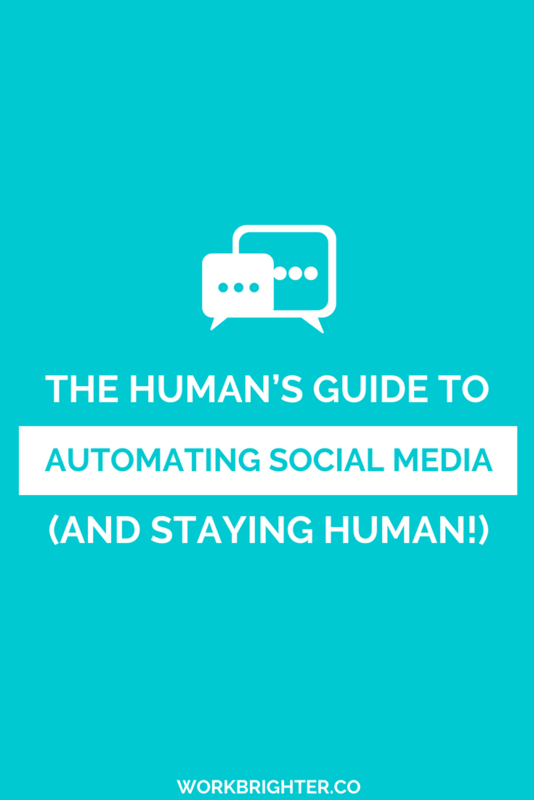 Whether or not there’s a way to automate social media and still be social. Whether or not it’s possible to have it both ways. Now lemme put the kibbosh on that but quick: of course you can automate social media and still be social! Well, first of all, users were breaking Instagram’s Terms of Service by using it. It used Instagram’s API in ways that aren’t cool. At the time, things like automated posting (instead of scheduling a push notification) weren’t allowed. And automated likes and comments aren’t allowed on Instagram the way they are on some other social networks. Using a shady app can lead to getting shadowbanned, or even getting your account shut down. Secondly, it automated social media in an antisocial way. 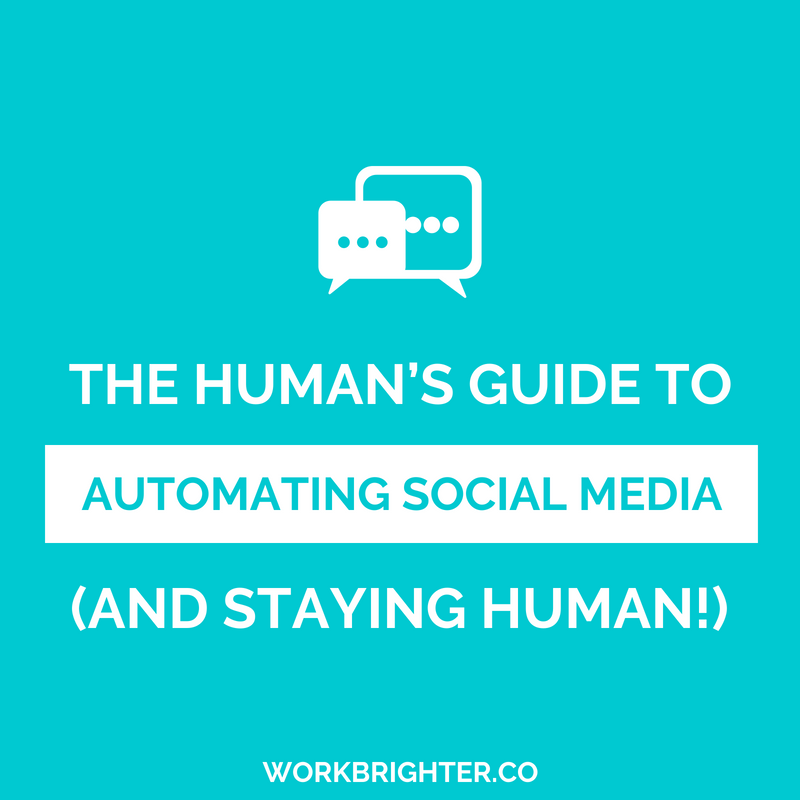 It’s completely possible to automate certain parts of social media and still be completely human and authentic and still build real relationships and grow your business. But Instagress was not that. Out of all the automation thin lines online content creators and business owners have to straddle, the social media automation line might be the thinnest. When something has “social” in the name, anything making it more hands-off understandably raises eyebrows and earns some side-eyes. On one hand, you do have to actually engage and be present, human, and social. In order to build social relationships on social media, you have to go in and have conversations and build relationships. There’s no way around it and no way to fake it. You can’t automate real relationships. And that ish can take forever if you let it. Something’s gotta give somewhere. Because the more time you spend on that time-sucking social media admin, the less time you have to focus on real engagement and relationships. So then it becomes a balance of figuring out what to automate and how to save time, while still making your community feel like you’re always there online, there to talk to them. You want to automate the admin so you have MORE time for the social stuff. But the balance isn’t as hard as you think. I can sum it up in one sentence: use social media automation to start conversations, then when people engage, respond in real time. But that miiiiight oversimplify it a little bit, so let’s talk a little more. There are lots of different aspects of using social media for your business, and engagement is just one of them. There’s also social listening and market research. There’s pushing out content to support your launches and marketing campaigns. There’s curating content. There’s sharing your own. THEN there’s engaging with other people’s content. Now, what does “still social” social media automation look like in reality? The most common way to automate social media these days is probably reusing social posts. Whether you’re using something like CoSchedule (my current tool of choice), SmarterQueue, or MeetEdgar to completely automate reposting old content, or just have a spreadsheet of tweets that you manually reschedule, it’s one of the smartest and simplest ways to get started. Social media content “lives” for like, five seconds. Attention spans are short and news feeds move fast, so it’s not very evergreen. Writing social media content to just use once is a waste. As long as you’re still writing the social media content in your own voice, reusing content is just a way to amplify that voice – not take it away or make it less human. Just make sure you have enough content in your automation library that you’re not sending the same tweet once a week, which is a dead giveaway and gets tired quickly. It’s totally fine to write more than one post about the same topic or linking to the same blog post, but you want to still have variety in your content. 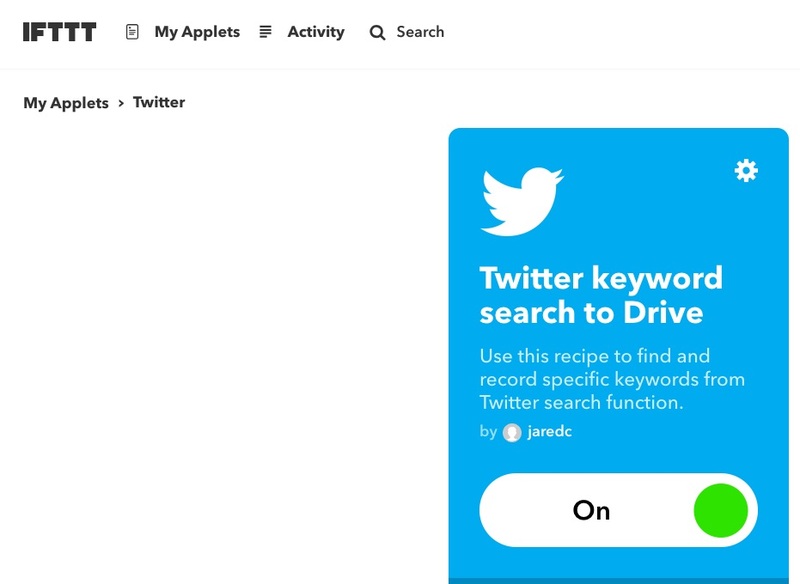 One of my favorite ways to do this is by using an IFTTT recipe with a special Pocket tag. That way when I’m saving an article I like for later, I can add a tag and it’ll automatically get added to my Buffer queue. Another tool I really like is Quuu. It provides you with content in tons of different categories and niches, hand-curated by experts in their fields (Quuurators = best name ever). Then it either gets added to your Buffer queue automatically, or you can approve it before it gets officially scheduled. The last thing I love to automate is social media research. For example, I always encourage my audience on podcasts or webinars to tweet about what I’m teaching. They don’t mention me in every post, but I want to make sure I see the tweets and keep track of all the people talking about going through the challenge. Now, here’s where it would be REALLY easy to use automation the bad way – I could easily set up an automation that replies to all tweets using the challenge hashtag, or automatically follow anyone who uses it. Instead of using automation to engage, I use it to find out who to engage with. So what I have set up is an IFTTT recipe that creates a spreadsheet of people mentioning my name but not my Twitter handle. Then once a week, I go into that list and reply to people manually and select who I’m gonna follow and become online BFFs with. All I want you to take away from this post is that automating social media doesn’t make you inauthentic. It doesn’t make you lazy. It doesn’t make you antisocial. At least, not always…but sometimes. Want more tips on using tech and staying human? Subscribe to Work Brighter for advice every Sunday!